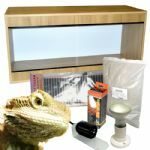 We produce and supply reptile starter kits to satisfy the requirments of all common reptiles. 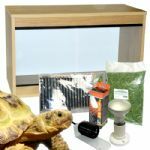 We have 2 ranges of some kits a basic and an advanced. Basic Ranges consist of as said the essential requirements, housing, heating, lighting, substrate and care sheet. 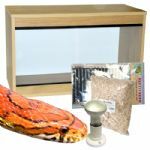 Advanced Ranges consist of housing, heating, temperature control thermostats,thermometer, lighting, substrate, bowls, food supliments etc and care sheet.